Please click onto my Amateur radio links tab, has alot of amteur radio information,& other links from there, not only amateur radio alot of web building help & web pages,at my Favorites link tab, to help you build a better site.Please e-mail me if you have any ? 's,or unable to make the link you want,i will correct it asap--tnx! PS:WOULD LIKE YOUR SUGGESTIOS ON HOW TO IMPROVE THIS SITE?? 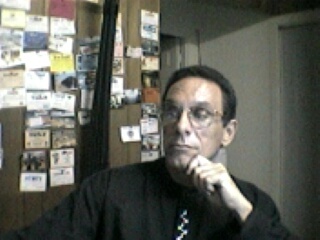 On this home page, the "doorway" to my site, I'll introduce myself and talk about my reasons for wanting a web site. I might put a picture of myself on this page...or just a picture that I especially like.i HOPE YOU ENJOY YOURSELF HERE,THANK YOU FOR VISITING! *DISCLAIMER: All gifs,jpgs & pictures,to my knowledge,are public domain.If you know differently,please e-mail me at above address,and I will delete it it out immediately. Please be sure to contact these artist,and give them the credit they deserve,befor using their graphics.By clicking on their banners,throughout this web site, refer to my favorites link tab,or banners page,to link to their web sites.Please DO NOT LINK to this server.Copy by right clicking on the image,click on save as,and then upload the image to your own site server. These web graphics are for personal use or non profit use only.Please do not add them to any other collection if you decide to use them on your web page,I'll require NO RETURN LINK!.Also,please let me know the URL where you're using them so I can come visit,along with the other guests graphic artist named above.Remember that most of the graphics used in this site are "COPY RIGHT" and need the artist permission to use them.Thank you! Special thanks to Marilyn Buck of "Artgekko-graphics" for all her help.Thank you Marilyn! This is me in my radio shack & computer room (AE4MO)alpha-echo-4-mike-oscar,on the ham bands.Showing in the back are some of my dx cards,that i have received from around the world.